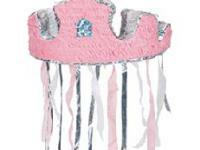 This Hello Kitty Pinata is a white Hello Kitty pinata with her pink bow and white and pink streamers. 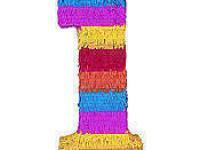 Each Hello Kitty Pinata measures 19 inches tall x 14 inches wide x 2 1/2 inches deep and is made of tissue paper and cardboard. 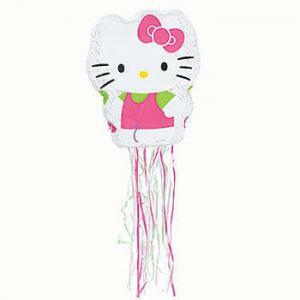 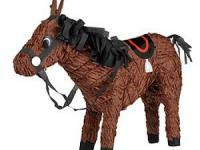 Our Hello Kitty Pinata will have all your party guests jumping for joy.